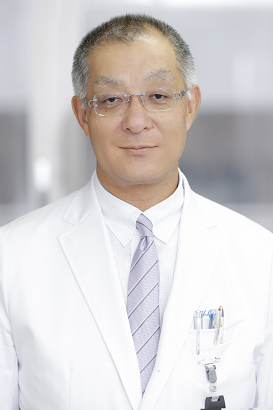 I am an oncologist focusing on lung cancer working at the National Cancer Center Hospital in Tokyo. I have been a member of the JCOG Lung Cancer Study Group since the foundation of the group and also been involved in JCOG studies as a chair of JCOG Lung Cancer Study Group and a member of several committees. It is a great honor to be appointed to the fifth JCOG chair from April in 2017. The Japan Clinical Oncology Group (JCOG) is a multicenter clinical study group for cancer treatment fully funded by the national research grants in Japan. The goal of the JCOG is to establish effective standard treatments for various types of malignant tumors by conducting nationwide multicenter clinical trials, and to improve the quality and outcome of the management of cancer patients. The types of treatments we are developing in JCOG studies include chemotherapy, surgery, radiotherapy, endoscopic therapy, and multimodality therapy. JCOG was founded in 1990 by the research grant “A Study on the Multidisciplinary Treatment of Cancer” (principal investigator: Masanori Shimoyama), supported by a Grant-in-Aid for Cancer Research from the Ministry of Health and Welfare in Japan. At that time, JCOG had only 7 subgroups, Lymphoma Study Group, Japan Esophageal Oncology Group, Lung Cancer Study Group, Breast Cancer Study Group, Lung Cancer Surgical Study Group Gastric Cancer Surgical Study Group and Gastrointestinal Oncology Study Group (thereafter the last two groups have been consolidated as Stomach Cancer Study Group). Nowadays, JCOG consists of an Executive Committee, Headquarters (Operations Office and Data Center), Committees (Standing Committees, Discipline Committees, Ad Hoc Committees), and study groups. The organization enables us to conduct qualified clinical trials and data assurance. Study groups are divided into 16 categories by specific tumor types or modalities, and approximately 190 institutions nationwide in Japan are participating in these study groups. JCOG has more than 30 actively accruing trials with an annual accrual of over 3,000 patients.Nowadays, JCOG consists of an Executive Committee, Headquarters (Operations Office and Data Center), Committees (Standing Committees, Discipline Committees, Ad Hoc Committees), and study groups. The organization enables us to conduct qualified clinical trials and data assurance. Study groups are divided into 16 categories by specific tumor types or modalities except for leukemia and pediatric malignancy, and approximately 190 institutions nationwide in Japan are participating in these study groups. JCOG has around 50 actively accruing trials with an annual accrual of over 2,000 patients. The JCOG has grown into one of the leading clinical study groups in the world. Many JCOG studies have contributed to the progress in therapeutic strategies for various malignant tumors. I would like to express my profound gratitude to all the JCOG investigators and staffs for their great efforts, to numerous people for their supports, and to the patients who participated in clinical trials and to their families. We must always reconsider the roles that the JCOG plays as well as what JCOG should do for cancer patients in Japan and throughout the world with a high priority. All members of JCOG will make efforts toward the greater improvement in the management of cancer patients. I believe that JCOG will continue to progress toward the goal of achieving breakthroughs in cancer treatment quality and outcomes. JCOG is composed of three sections which cooperate with each other in research activities. You can see the list of our clinical trials. JCOG Headquarter is located in National Cancer Center, Tokyo, Japan. Copyright JCOG All Rights Reserved.